Research papers on the Jews examine the history of the Jewish people, from their earliest beginnings as a nation of nomads, to their rise and fall as an independent nation. The Old Testament is a chronicle of the history of the Jewish people, from their earliest beginnings as a nation of nomads to their rise and fall as an independent nation. The character of their culture and lifestyle changed dramatically from the Book of Genesis through the period of the kings, comprise in the Books of Samuel, Kings and Chronicles. The primary change is from that of a nomadic tribe to that of an urban settled people. In Genesis, God promises to make a great nation out of the descendents of Abraham (Gn. 12:2). Abraham’s earliest beginnings come from Mesopotamia, and he and his family wandered into Palestine as nomadic herders: “And Terah took Abram his son, and Lot the son of Haran his son’s son, and Sarai his daughter in law, his son Abram’s wife: and they went forth with them from Ur of the Chaldees to go in to the land of Canaan” (Gn. 11:31). Abram is described as “very rich, in cattle, in silver and in gold” (Gn. 13:2), but he is also not settled in one place: “And Abraham journeyed from thence toward the south country, and dwelled between Kadesh and Shur, and sojourned in Gerar” (20:1). Later in Genesis, further proof is offered that the Jews were nomadic shepherds. Isaac is described: “For he had possessions of flocks, and possessions of herds, and a great store of servants” (26:14). Conflict comes about between Isaac and the Philistines because his herds are too large. The Jews at this time were also not a separate nation as we think of the modern term. In Genesis 26:34: “And Esau was forty years old when he took to wife Judith the daughter of Be-eri the Hittite, and Bahsemath the daughter of Elon the Hittite.” Esau is a hunter, compared to his brother Jacob the shepherd. They are not much more than an extended family. The culture that is described during the period of the kings is quite opposite: settled, urban, and a cohesive nation. The first Jews in America came to the colony of New Amsterdam in 1654. Twenty-three immigrants founded the congregation of Shearith Israel, a community that can still today be found on West Seventieth Street in New York City. Called the Sephardic wave of Jewish immigration, during the colonial period Jews from Western Europe (Spain, Portugal, the Netherlands, etc) trickled into the Middle Atlantic colonies. By the time of the American Revolution, there were only three thousand Jews in America. A second wave of Jewish immigration began in the 1840s, called the German immigration. These Jews came not only from Germany, but also Hungary, Austria, Bohemia and northern Italy, and were escaping the political upheaval that swept through Central Europe following 1848. 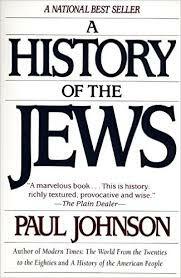 By 1880, there were some two hundred and fifty thousand German Jews, mostly middle class, in America. Very soon, an immigration “bomb” was about to go off, as millions of Jews from the ghettos and shtetls of Eastern Europe poured into America. In 1881, 5,692 Jews came to America. Five years later that number was 19,936, of which the largest percentage (some 14,029 immigrants) came from Russia. Russian Jews during this wave of immigration came to America by the tens of thousands, meeting the conditions not only faced by all immigrants, but also having to battle anti-Semitism and anti-immigrant sentiment of the time. The table below shows the disproportionate levels of Russian Jews coming into America during this period. Not everyone welcomed these new arrivals, even members of the established American Jewish communities. German-Jews feared that the presence of these “barbarians,” believing that a new wave of anti-Semitism would sweep through America, and be directed at German-Jews as well. Paper Masters writes custom research papers on the Jews and examine the history of the Jewish people, from their earliest beginnings as a nation of nomads, to their rise and fall as an independent nation.